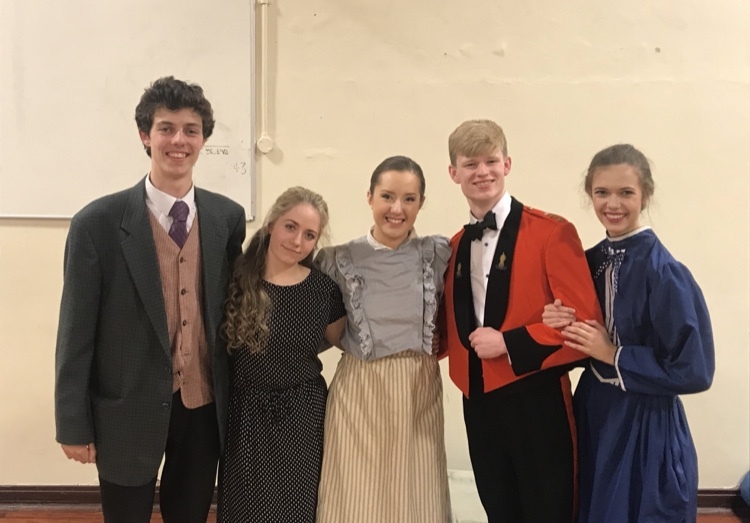 RIPON Grammar School's production of Pygmalion was a fantastic retelling of George Bernard Shaw’s much loved play, known to many as the premise of the musical My Fair Lady. Shaw’s play is a take on the myth of Pygmalion, who creates a statue more perfect than any real woman and falls in love with it, after separating himself from the women in his society. He then prays to the goddess Venus, who brings the statue to life. 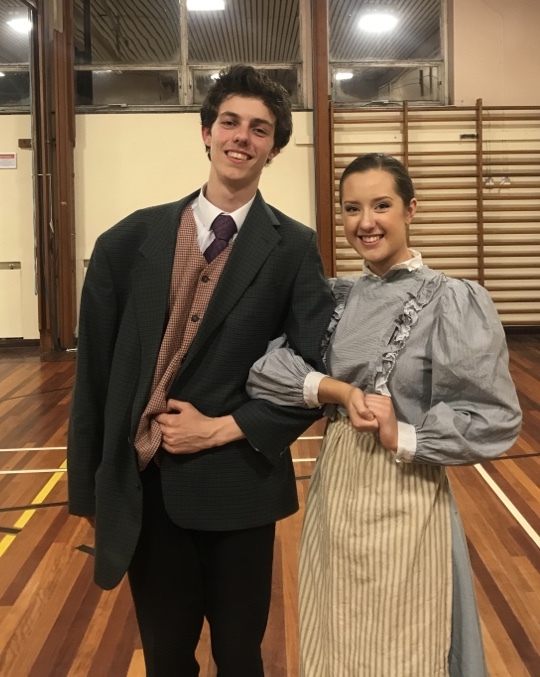 The story of the play follows the flower girl Eliza Doolittle (played by Emma Belward) as she is taught to speak and act like a duchess by Henry Higgins (Harry Edwards), with the goal of working in a flower shop. 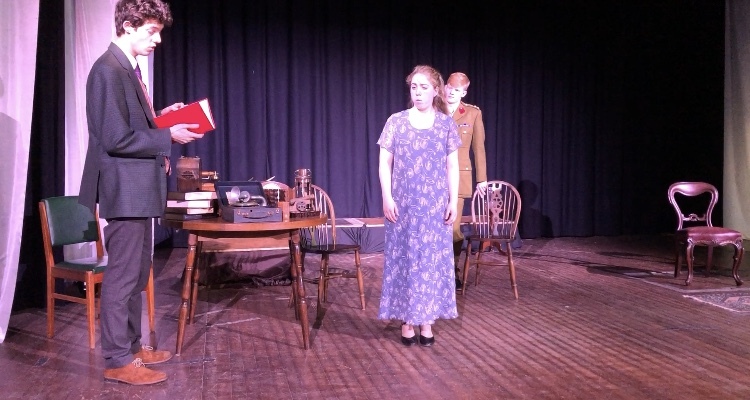 The witty execution of the play’s many comedic moments had the audience laughing throughout, and Mr Fell’s brilliant direction really made the most of the talented cast, which also included Dom Livesey as Colonel Pickering, Finn Atkinson as Alfred Doolittle, Clara Dammann as Mrs Higgins and Freddie Dunn as Freddy Eynsford Hill. Thank you to everyone who came to see the play, and congratulations to all of the cast and crew on an incredible production. THE best part of the whole show was the cast. It is so fulfilling to see students in different years come together in something we all share a great passion for. For that short time we become a family, everyone works together and supports each other which is magical to be a part of. Being a huge fan of all things ‘theatre’ I was very excited when I heard the senior production was going to be Pygmalion - a version of the famous musical My Fair Lady. A few weeks after auditioning I was cast as Mrs Pearce, the housekeeper, a stern but caring character in the play. I was excited to step into the role having not played one similar to her before. Our rehearsal process was quite relaxed and enjoyable for everyone involved, however we only properly came together as an entire cast in the couple of weeks leading up to the show. This is when we repeatedly ran the play the whole way through and polished everything. This is definitely my favourite part of a show, those long, intense rehearsals, when you get to see how the whole story pieces together. It’s also a great opportunity to establish the dynamics between you and other characters and watch how each character develops. We also began to run it in costume on stage with lighting and props which meant it all quickly became real. Of course, the first time we ran the show it was far from faultless. A lot of work still had to go into consolidating lines, stage directions and moving scenery. This meant rehearsing in that final week before the show whenever we could. We even set up a group video call one evening at home to run through the second act. Soon enough, our first show night arrived and I think we were all feeling slightly apprehensive but ready to share all the hard work we had put in. 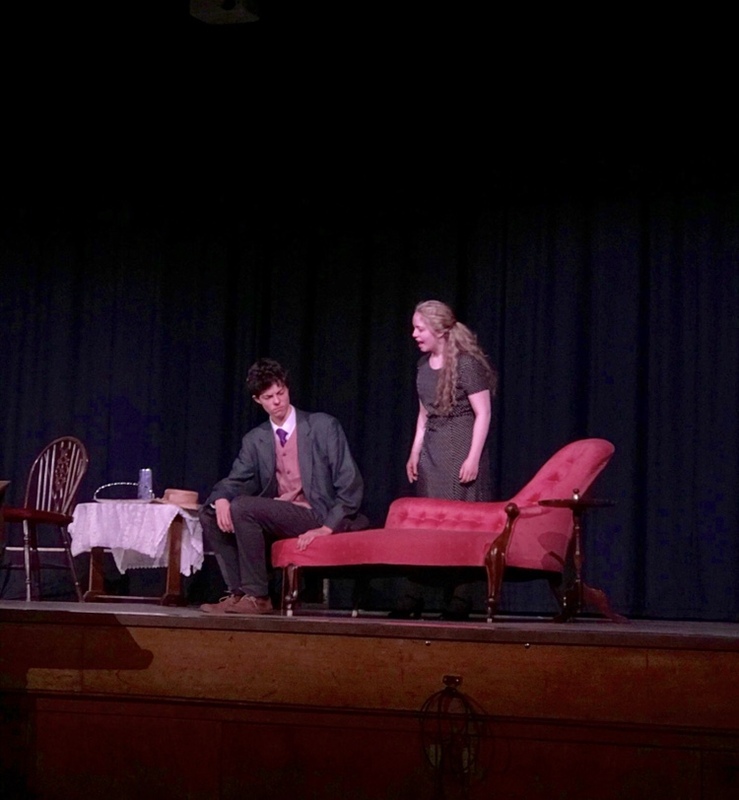 Both shows went really well, the audience response was encouraging and it really was a very enjoyable experience. I am very proud to be part of such a wonderful community and our hard work definitely paid off. 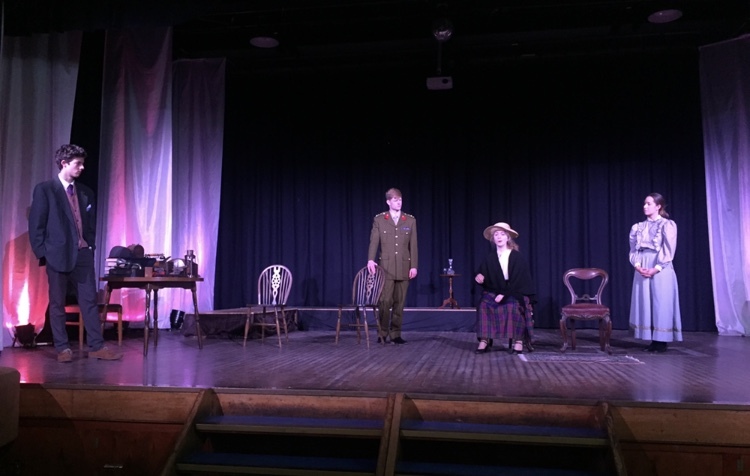 Unfortunately, Pygmalion was my last production with Ripon Grammar School having secured a place at CAPA performing arts college in September. 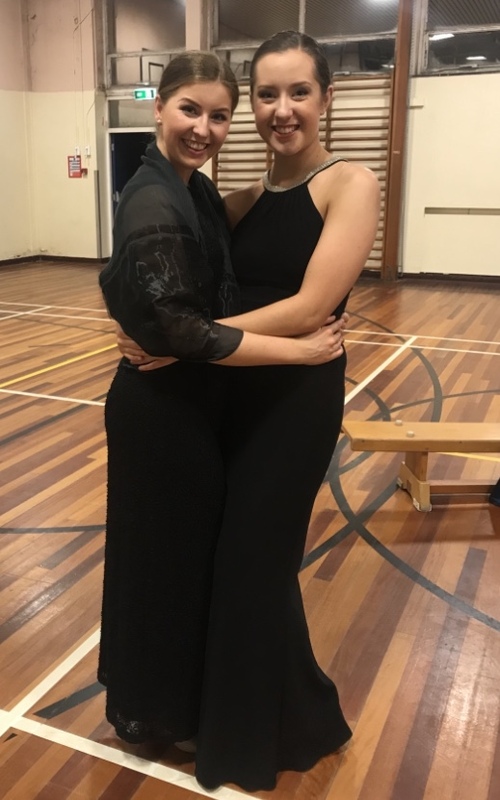 I would like to say a huge thank you to Mr Fell and Miss Anderson for providing us with the opportunity to perform and for all of the hard work they put in. Thank you also to Mrs Levahn for all of her help with costume and our hair and make-up. 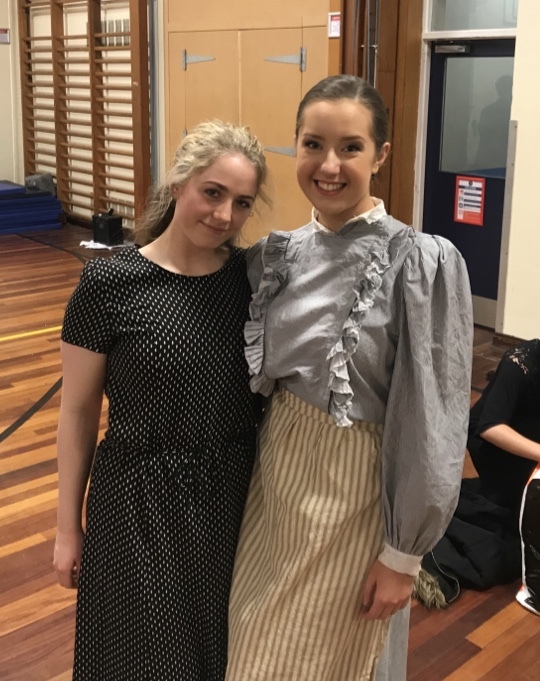 I have immensely enjoyed being part of the music and drama at school and I would encourage every student to get involved. I look forward to seeing other productions in the future. 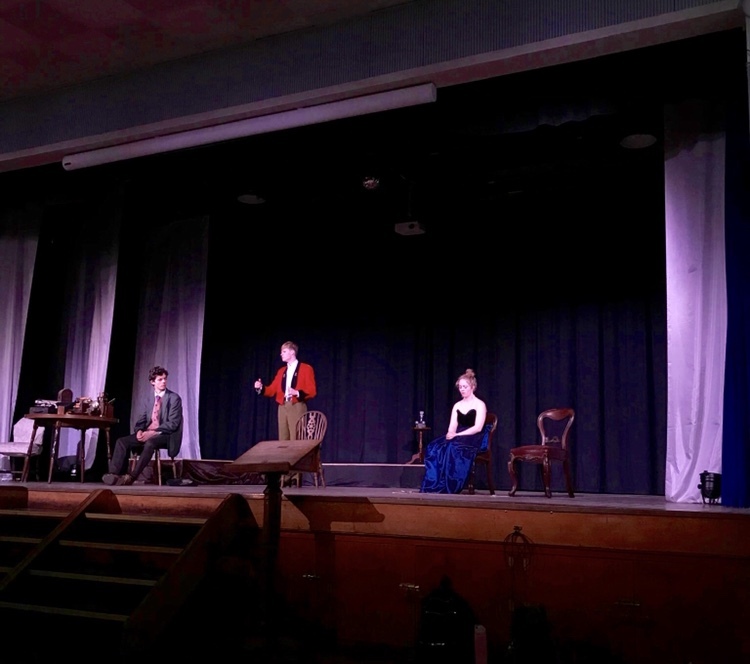 AT RGS, the drama programme is fairly unrelenting: the closely-knit acting community is called into action only weeks after the autumn term’s prestigious House drama competition to consider the senior drama production. 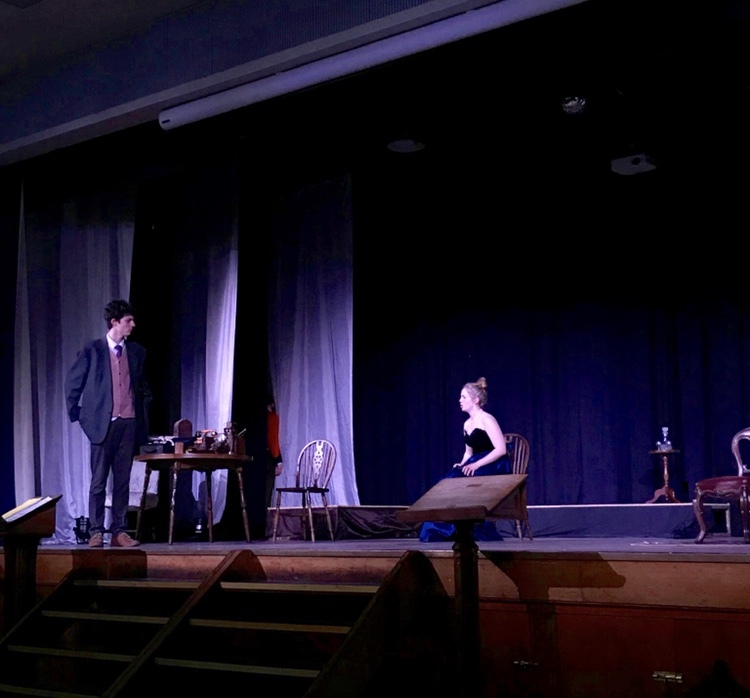 This year, the Herculean task was set, by directors Mr Fell and Ms Anderson, to produce a rendition of George Bernard Shaw’s Pygmalion, the Oscar and Nobel-winning play that tells the story of Eliza Doolittle, a poor flower girl, and her remarkable journey to reinvent herself through the peculiar world of phonetics. Touching on similar themes that have been explored in senior dramas of the past in the work of Priestley and Goldsmith, the play is a masterpiece and would be quite the challenge to create, especially in a short time-frame; many of us would feel the strain of contention between theatre and the upcoming exam season as opening night drew near. 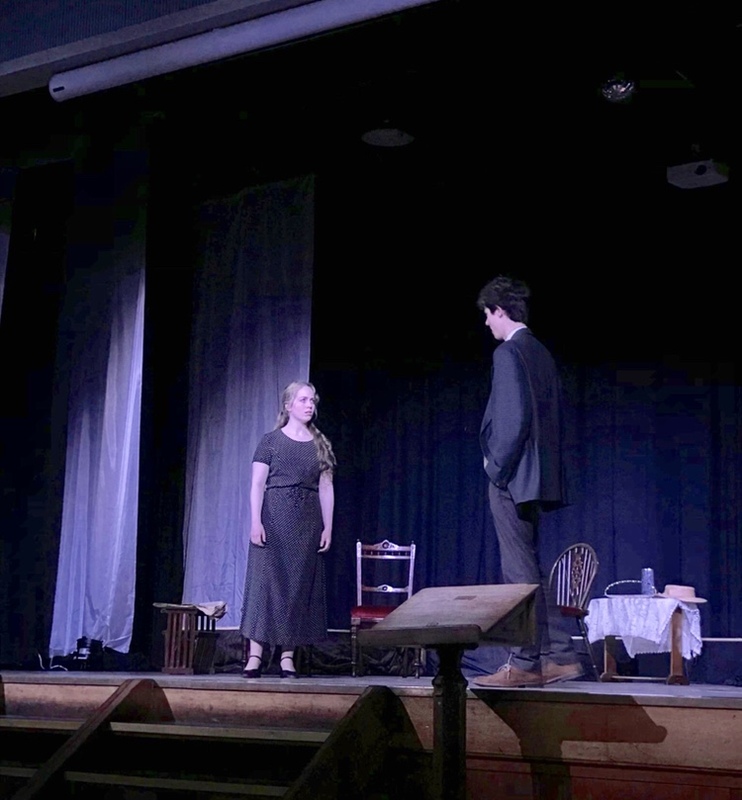 The crew and cast were certainly well stocked, with seasoned drama fanatics and equally enthused newcomers alike, building a capable group working in relatively seamless, productive rehearsals. Scenes were made slick in initial rehearsals (time would later tell that things were not to run as smoothly when scripts were pried from our hands) and only when all five acts were combined, along with a beautiful, authentic set, at the weekend rehearsal (with one week to go) could we see what potential the play had to be something special. The play is a long one and learning lines was always going to be a daunting prospect. Scene by scene, I accumulated a somewhat unreliable command of my lines. For some of us, paradoxically, it was the lengthy monologued speeches that were the easier to learn, while the placement of sudden interjections of few words were tricky to remember. Rehearsals of the play, as we approached opening night, were promising but rather spoiled by regularly forgotten lines and cues (mostly my fault, I must confess); some of us, feeling the pressure that ensued this lack of preparation, decided to make good use of social media, rehearsing scenes via video chat - perhaps the future of school theatre productions. The journey towards our final product was immensely enjoyable as well as stressful. The result of all our hard work was fantastic: I am sure that everyone in the cast is proud of the professional standard the play showed. 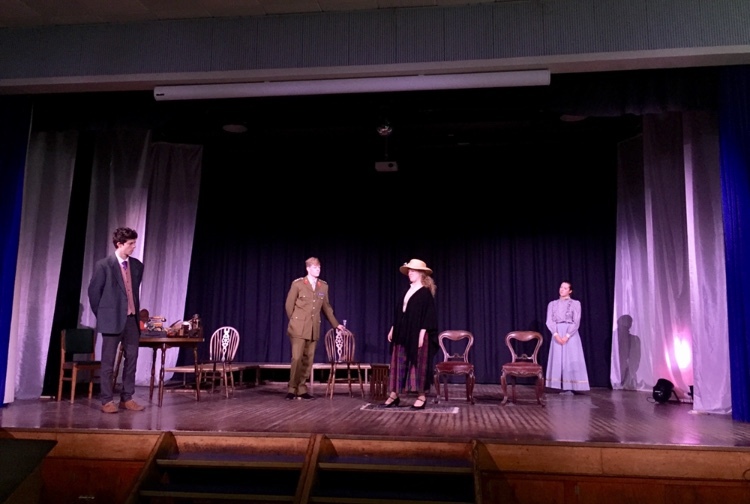 Personally, as it was my final piece of drama at the school, Pygmalion has been a fantastic way to finish my acting at RGS; drama, for many of us, is a significant part of school life and, thanks to the diligence of Mr Fell and Ms Anderson (in addition to all staff who have had the nerve to run senior or junior drama productions) and the friendly companionship of the acting community, the programme is one that inspires many to continue drama beyond school, and provides a fantastic collection of memories. 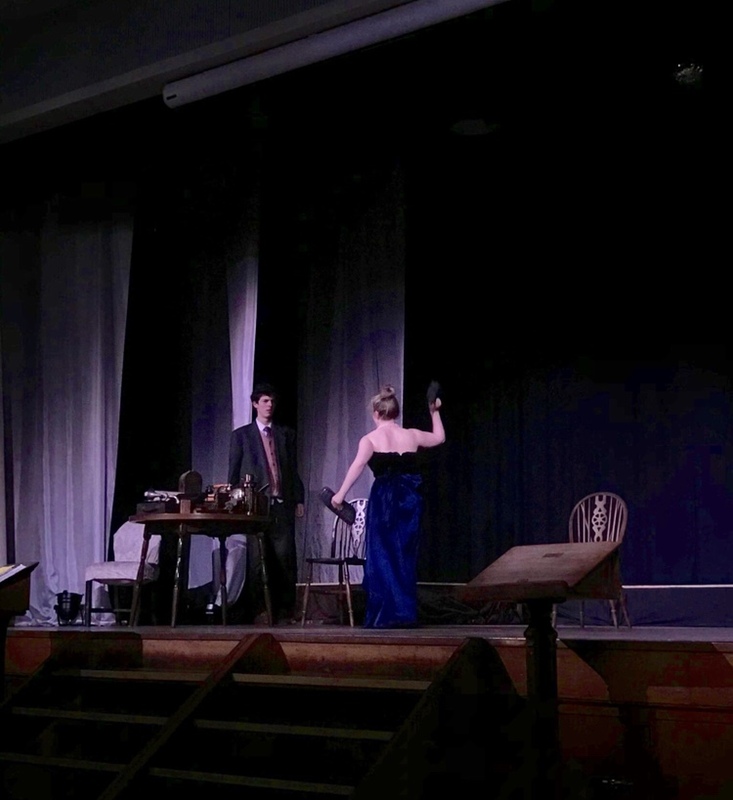 PLAYING Eliza Doolittle in this year’s senior production of Pygmalion was a truly incredible experience. It has taken lots of hard work from so many people and I believe that I speak on behalf of everyone involved when I say that it was definitely worth it. The auditions took place in November and I felt quite nervous as Eliza Doolittle has always been a dream role of mine. I love the diversity of her character. She begins as a Cockney flower girl who is looked down upon as low and common and eventually becomes a self-possessed lady who has in many ways surpassed her creator, Henry Higgins. I had so much fun with this transformation, from playing a 'guttersnipe' to a lady with etiquette. The change in accents was also very exciting for me as they were so contrasting. Before going on stage I liked to say a few lines in either the Cockney or posh accent so that it felt comfortable and I was able to get into character. I was nervous standing backstage before the real performance, however once the play began I forgot about the audience and had the most enjoyable time. I love the feeling I get when I’m performing, especially when I get to do it surrounded by my friends. Leading up to the performance we rehearsed every week after school and at lunch-time. I tried to use my script as little as possible in rehearsals to help me learn my lines. All the cast members supported each other and we would often meet up to run lines. Rehearsals brought everyone closer together and in the last few weeks we became a family. I’m thrilled to have made so many friends in different years during this production and I’m very grateful to have been part of it. Many thanks to everyone involved for giving me the opportunity to perform in such a spectacular show. FROM a behind-the-scenes perspective it was amazing to watch the production come to life before your eyes. In order to find the perfect set that matched our vision for the play, we searched our homes, asked family, friends and neighbours and even attended auctions during the months prior to the production. From there onwards the actors really made the play their own; they lifted the story from the script and delivered an incredible performance.